It´s always nice to have the matching sheath for a beautiful weapon. This does not only look good but also protects the weapon from damage, for example from falling on it. 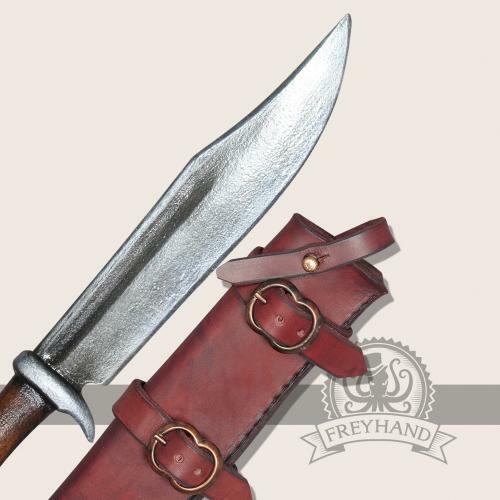 Therefore we have assembled this pretty set of our Bowie knife „David“ and our knife sheath „Aronia“. 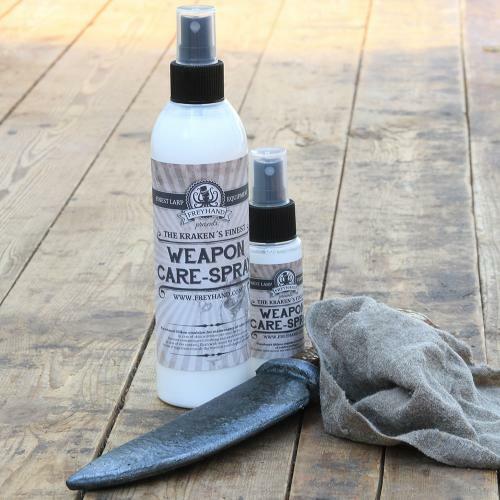 A great duo for every adventurer in LARP. 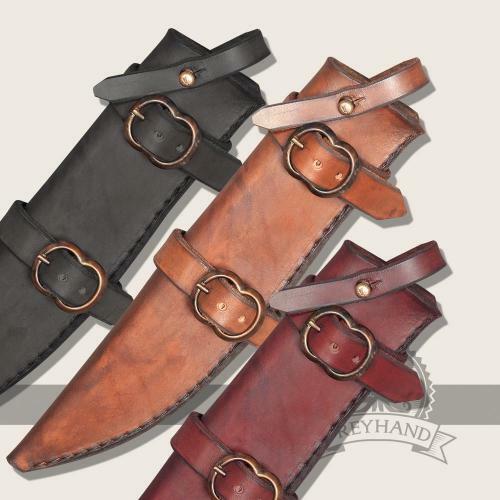 The sheath has two decorative straps with buckles in the front you can pull a belt through. 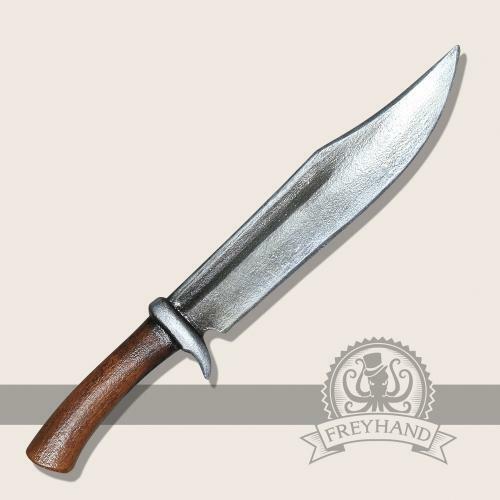 The knife itself is held by a small strap with a quick draw closure. 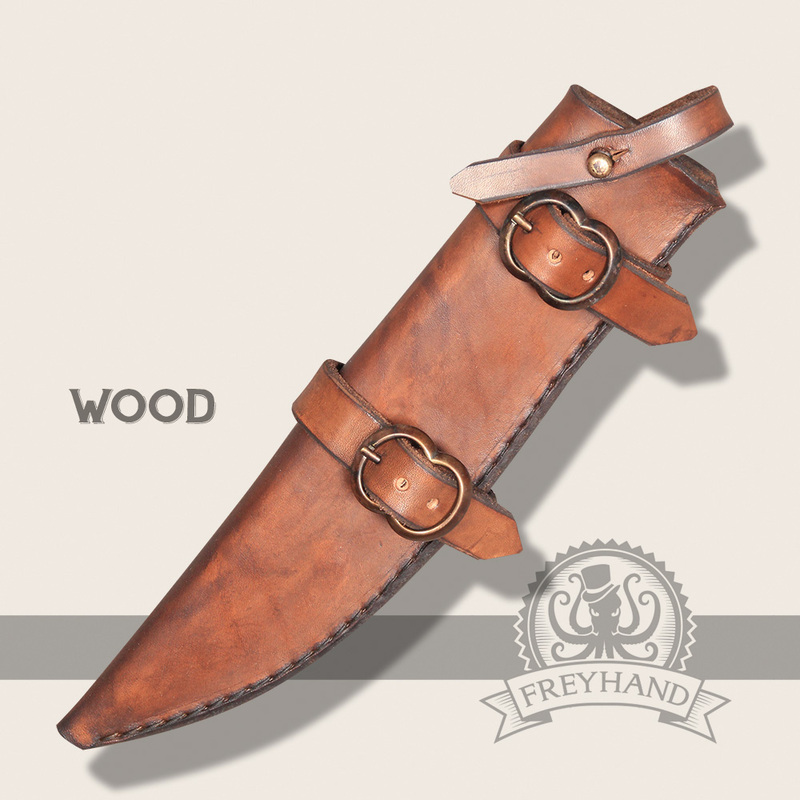 Therefore the sheath is ideal to be worn upside down at your chest, so that you can easily draw the knife downwards. 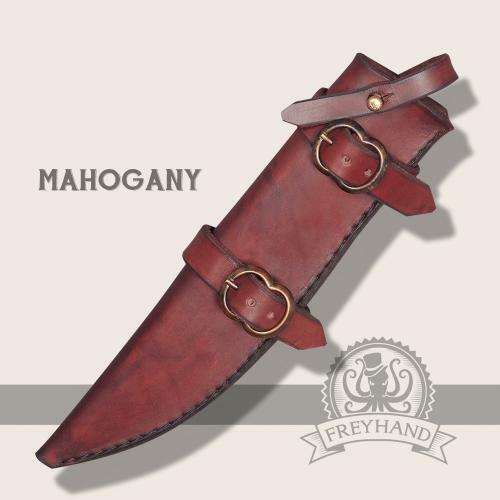 It suits various character concepts from rogue to scout and is also an elaborate eye-catcher for every costume. 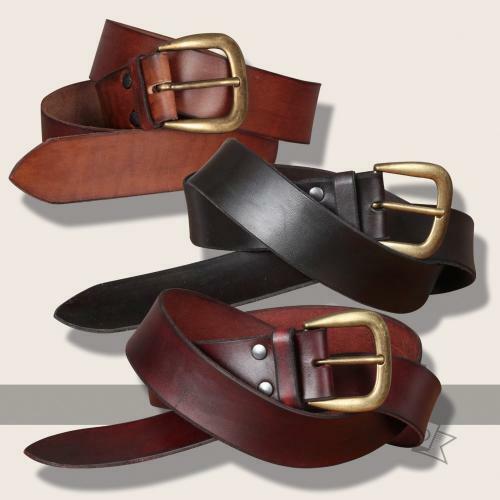 Do not forget the matching leather belt. For example, you could get one of ours (s. below). Our tip: Don’t store your LARP weapon in a leather sheath. It can get bruised. 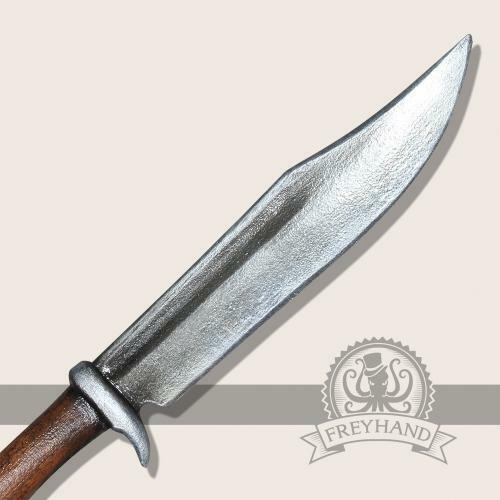 Furthermore especially LARP weapons, that are kept inside of sheaths, should be treated well with Freyhand weapon oil!